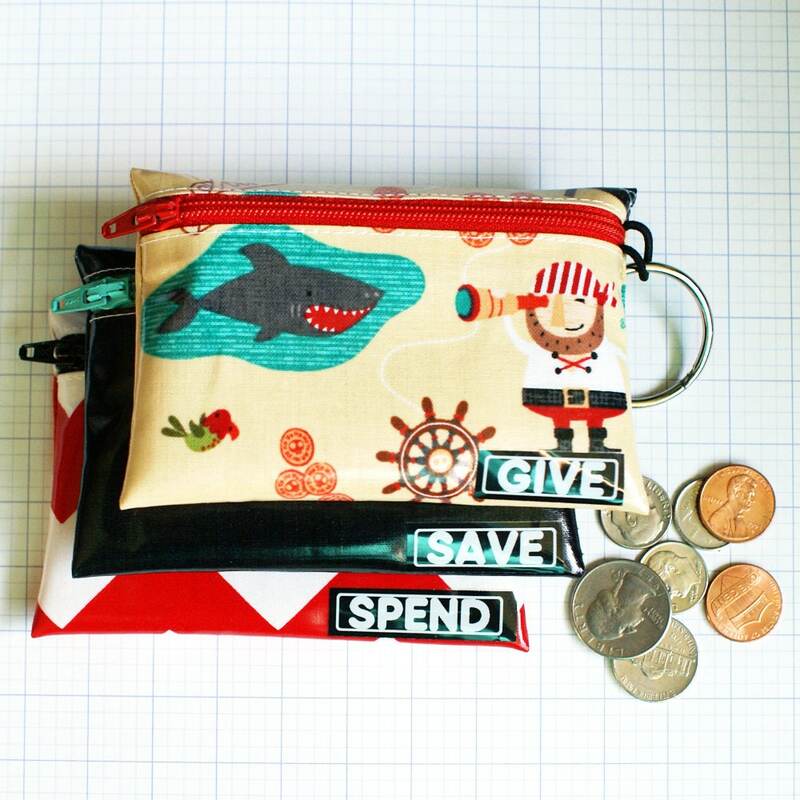 This pirate-themed give, save, spend cash envelope budget wallet set for kids is perfect for teaching basic budgeting. Just open the ring and remove the appropriate pouch when heading to church, going shopping, or visiting the bank to make a deposit. The pouches are compact enough to tuck right inside most pockets. 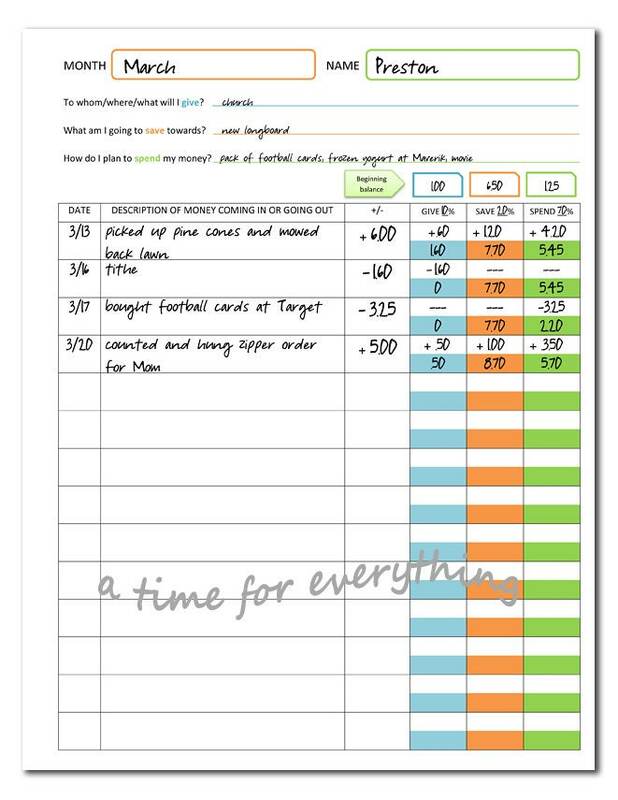 Each part is labeled either give, save or spend and has an elastic loop for attaching it to the ring. The pouches are made of CPSIA-compliant designer laminated cotton that is water-resistant on the outside and can be wiped clean, which is ideal for an item being handled by little hands that are sometimes sticky or dirty! 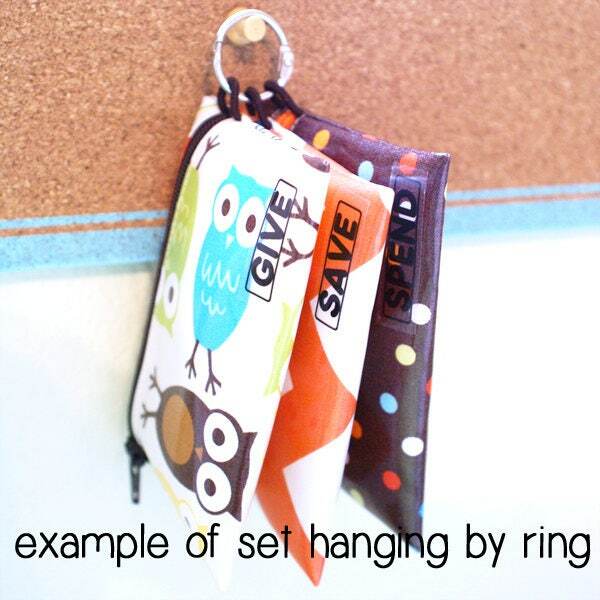 The ring can be hung from a hook to keep the set organized and out of the way. 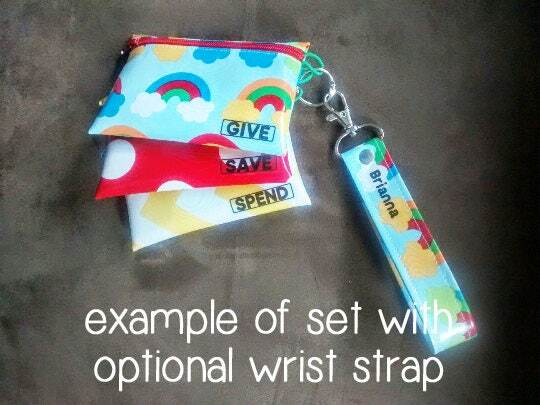 Some customers like to purchase a wrist strap with a hook (fourth image) to go along with this give save spend set: https://atimeforeverything.shop/listing/119219838 If you order one, I'm happy to add a label with your child's name if you leave a note at checkout. Please choose the fourth option from the dropdown on the wrist strap menu since I rarely have extra of the very kid-specific fabrics and will need to choose one that coordinates. This set is made in the three fabrics shown in the photo. 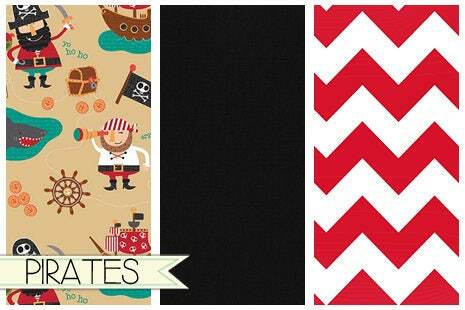 Zipper colors may vary, but three different ones will be used and will coordinate with the fabric combo. © Copyright 2014-2017 Melissa Kaiserman. All rights reserved.